Is today’s MMA (Mixed Martial Arts) fighter the new Roman gladiator who’s sole purpose is to please a bloodthirsty crowd? Just like in the Roman coliseum, we watch fighters step into the arena and battle until one is no longer standing. There is an aspect of the sport that does not ethically align with many people. For those people, the question is; is it morally correct to cheer for and respect men and women who are using overwhelming violence against another in order to produce a surrender or to knock an opponent unconscious? With that in mind, I wondered what the difference between the modern day MMA fighter and the Roman gladiator is. What are the ethics of MMA? Is it ethically sound to allow children to watch live fights or even play a fight-based video game? This is my take on the ethics involved with modern-day Mixed Martial Arts. 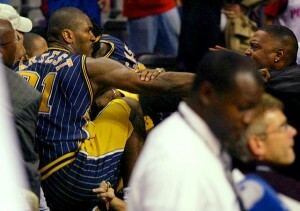 Ron Artest punches a fan. First of all, I do not think that MMA is an ethically tainted sport. The TRUE fans who watch religiously and enjoy each and every fight, enjoy it for reasons that are much more deeply held than those who believe the sport is savage. Today’s contact sports involve the same level of violence that is exposed during MMA matches. Many of these sports such as: the NHL, NFL, NBA, rugby, soccer or even the MLB have fights that occur on a fairly regular basis (hello NBA). MMA at the very least, strives to promote injury free and fair combat that is regulated and monitored by trained, licensed professionals in order to maintain the safety of the athletes. The sport looks brutal, that fact will stand true as long as MMA exists, but it requires a work ethic and technical abilities within its athletes that are at the most elite levels. MMA is most definitely a sport that requires a lifelong learning experience. As unethical as the sport may seem, the true nature of the competition and the development of the skill-set that it takes to compete is the side of the sport that many fans appreciate because they cannot experience this in their everyday lives. For this reason, the sport cannot be completely unethical due to regulations and certain rules of sportsmanship and safety. But greater than this is, any true test of endurance, courage and physical ability, the likes of MMA competiton, is almost impossible not to respect and enjoy. MMA is becoming more and more mainstream. The recent changes within the UFC have made me think that inside the cage is not where ethics should be questioned but in the unethical actions being made within the UFC’s corporate structure. 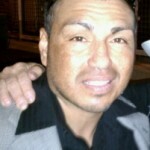 The UFC has taken a big hit recently with all of the dirty drug tests by some of its championship fighters. They have responded by going to an Olympic style random drug testing process. They also retain tight control on the press at every UFC event. In terms of the ethical nature of the sport as it is portrayed to the public, this is just plain selective censorship. The UFC is on the cusp of becoming an unethical dictatorship. In addition to having full and complete control over what information is released from actual fight coverage and what is not they are now dictating the earning potential of fighters. 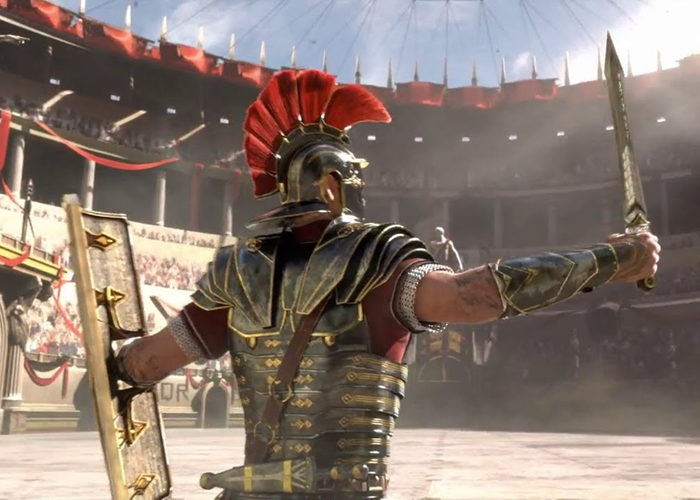 If one wants to compare MMA to Roman Gladiators then I believe that it is not the intentions of the fighters that need to be questioned but in the Caligula-like behavior of its leadership. Next articleLoophole in the UFC’s Reebok Deal?